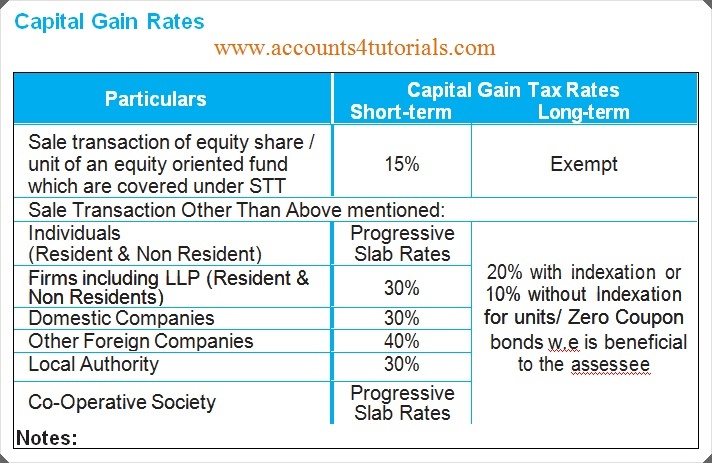 Unlisted securities and mutual funds (other than equity oriented) shall qualify as long term capital asset if held for more than 36 months (increased from earlier period of 12 months) w.e.f 11-07-2014. Long term capital on sale of listed mutual funds (other than equity oriented funds) will be taxed at the flat rate of 20% after indexation. Earlier such gains were taxable at the rate of 10% without indexation or 20% with indexation, whichever is lower. 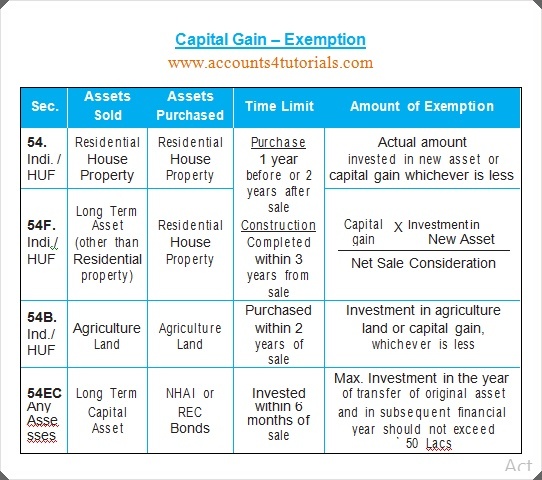 Exemption from tax on Long term capital gain on sale of residential property or any other asset is allowed on re-investment in only one residential house in India. Exemption u/s 54/54F will be available only if investment is made in only one residential house situated in India.